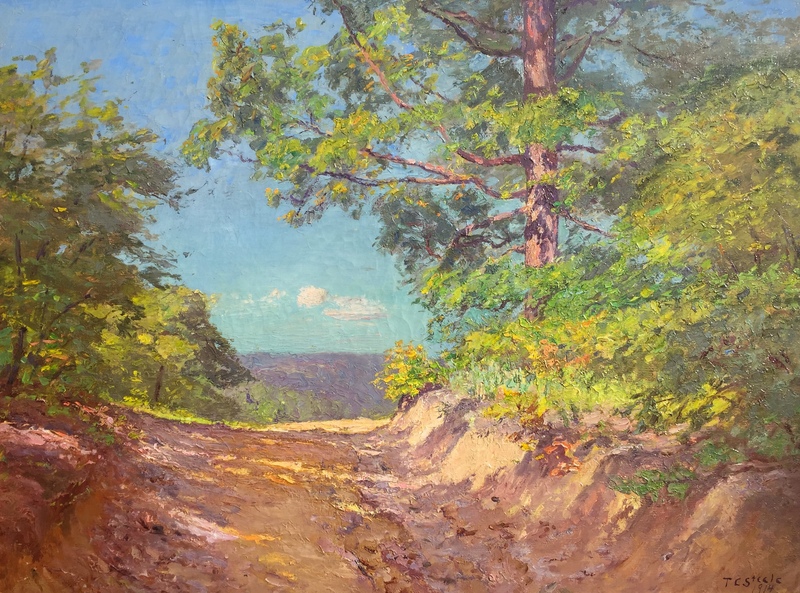 Provenance: Raymond Patterson Van Camp, Indianapolis; Rosamond McDermott Van Camp, Indianapolis; Rosamond Van Camp Hill, Indianapolis; Private Collection, California (by descent). Exhibited: Indianapolis, Indiana, The John Herron Art Institute, "Memorial Exhibition, Theodore C. Steele," December, 1926 (159). Literature: Listed on p. 34 of the catalog accompanying the above exhibition. Note: A gorgeous and colorful example of the artist's Brown County period, from one of his best years. Fine original Lieber frame. Exhibited in the artist's memorial exhibition in Indianapolis in 1926.